When a drug user cannot cease taking a drug even if they wish to, it is called addiction. The urge is too strong to control, even in the case where you know the drug is causing harm. Addiction can become more important than the necessity to eat or sleep. The urge to get and use the drug can fill every moment of a person’s life. The addiction replaces all the things the person used to enjoy. A person that is addicted might do anything; lying, stealing, or hurting people to keep taking the drug. This might/usually also gets people arrested. When people start taking drugs, they don’t plan to get addicted. They like how the drug makes them feel. They think they can control how much and how often they take the drug. However, drugs modify the brain. Drug users start to need the drug to feel normal. 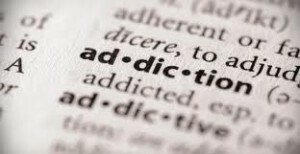 That is addiction, and it can quickly take over a person’s life. Drugs modify how the brain works. These brain changes can last for a long time. They may cause issues like mood swings, memory loss, even trouble thinking and making decisions. Addiction is a disease, as diabetes and cancer are diseases. Addiction is not basically a weakness. People from all backgrounds, rich or poor, can get an addiction and can happen at any age.